Elizabeth Warren (D-Mass) took the floor of the Senate yesterday and began to read a 30-year old letter penned by the widow of Martin Luther King, Coretta Scott King, that opposed the nomination of soon-to-be US Attorney General Jeff Sessions to a federal judgeship. By doing so, she prompted Senate Majority Leader Mitch McConnell (R-KY) to admonish her for breaking a Senate rule that does not allow Senators to “impugn” one another while on the Senate floor. A vote following along party lines silenced Ms. Warren from continuing to read the letter, but she continued the letter outside of the Senate floor. Regardless of whether or not you agree with the Senate rule, it was in place at the time and Ms. Warren was fully aware of the consequences for ignoring the rule and the admonishment was justified. The rule itself was implemented to promote civil debate on the Senate floor, by stopping senators who were debating from making attacks of a personal nature on each other, which is a good thing overall. 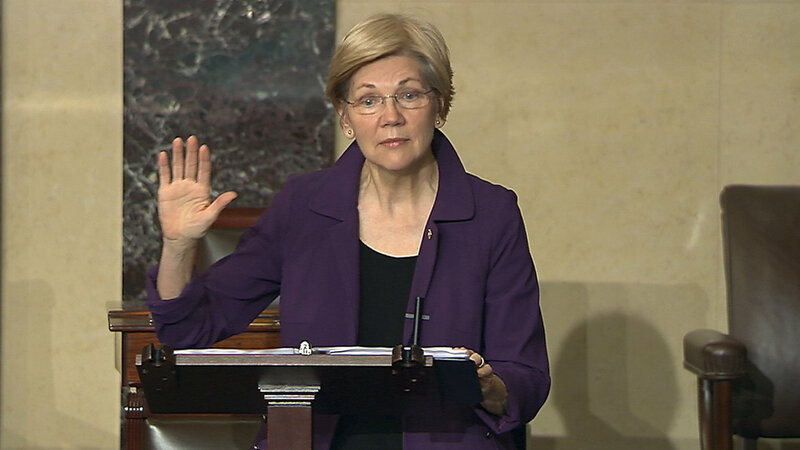 Some would disagree as to whether Ms. Warren’s remarks were actually “impugning” the “conduct or motive” of Sen. Sessions, as Senate Republicans stated, but that is the way the majority party viewed them. The problem for the GOP is the action may actually give Ms. Warren some credibility, something that even moderate Democrats had begun to question with her outlandish claims and rantings. The ruling certainly fired up her ultra-left wing base, but that group was about the only voting bloc paying any attention to her prior to yesterday. Ms. Warren is, in the eyes of many, just another Democrat posturing for a Presidential run in 2020, and looking to challenge the White House on any and every thing it does. And there are several on that list, as well as others who are just trying to whip Democrats up for a run at taking back the Senate in 2018. They are organizing boycotts of things like President Trump’s Inauguration, confirmation committee meetings and Senate proceedings, not to actually accomplish anything positive, but merely as a media circus for a press all to ready to cooperate. Middle-of-the-road voters are witnessing this seemingly silly activity and cocking their heads to the side, wondering what the heck is going on with the Dems. They see them as petty sore losers, and begin to question if that is the kind of leadership the voters want for the nation. Most Americans want to see their elected leaders get things done, and not waste the government’s time and money on name-calling and frivolous grandstanding. They want their leaders to accept that the election is over and we have a new president, and even if they don’t agree with the new regime, they expect their elected leaders to be serious about working for what they believe is in the best interest of the country. The time has come for cooperation, between Democrats and Republicans, liberals and conservatives. Those on both sides who accomplish good things for the citizens of America will be rewarded in subsequent elections. Those who assail windmills in the name of the party will not.